Bradley Gill, Aaron Brown and Ryan Meyer were sentenced to a combined total of 14 years and one month for the assault that occurred on Saturday, August 19 in Bognor Regis. The victim, a taxi driver, suffered minor injuries after he was assaulted by the three convicts at the Esso petrol station in Chichester Road, Bognor Regis. He picked the three men up from Shieks nightclub, The Esplanade, and when the men became aggressive towards him he stopped the vehicle and fled. Detective Constable Jonathan Tizzard of the investigations team said: “These three men caused a considerable amount of distress to the victim and during the investigation showed little remorse. Bradley Gill, 23, of Cadnam Road, Southsea, was arrested on August 20 but pleaded not guilty to robbery. 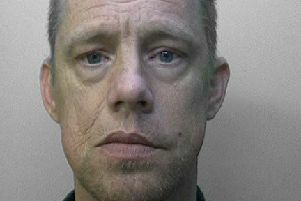 He was found guilty after a two-day trial at Portsmouth Crown Court on Friday, December 1, and was sentenced to five years imprisonment on Monday, December 18. Aaron Brown, 24, and Ryan Meyer, 21, both of no fixed addresses were arrested on October 6 by Thames Valley Police. The pair pleaded guilty to robbery and Meyer was given a 49 month sentence and Brown a 54 month sentence with a further nine months for the breach of a suspended sentence.